The definition of luxury off-roading. Founded as a collaboration between British car makers Erin and Bonham, Enactor are one of the premier premium and luxury off-road marques in the world today. Combining exceptional comfort and supremely high build quality with incredibly capable off-road dynamics, Enactor have redefined the expectations of high-end SUVs over the past 20 years. The company is most famous for making the Estate Roamer, which has gained precedence right across the world as one of the most soughtt-after luxury vehicles. The company has also branched out into midsize SUVs to expand their sales, as well as their sharing platforms with Bonham for their own SUVs. While originally founded by Erin and Bonham, both companies have reduced their shares of the company to allow it to act more indepently. Both companies continue to supply engines and engineering expertise to the marque. Enactor finds its origins in the Erin-Saminda partnership of the 1980s, whereby the two companies collaborate to sell badge-engineered cars in markets around the world. 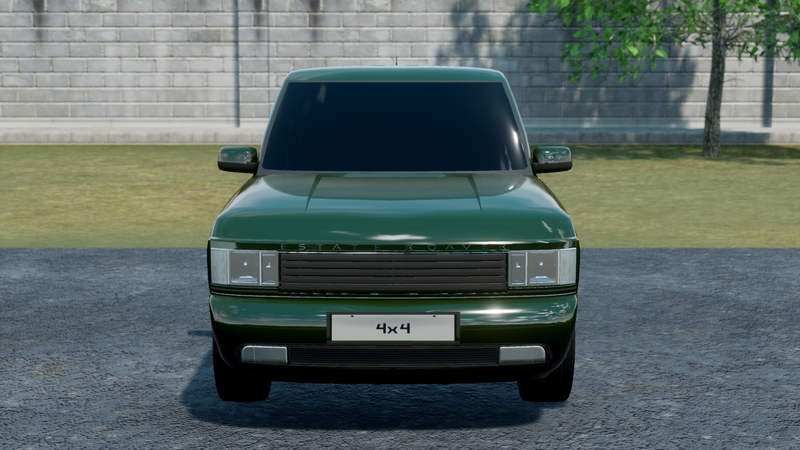 As part of the partnership, plans are drawn up for a large SUV platform in the late 80s. Meanwhile, Saminda’s focus turns towards their launch of the US luxury brand Auxuras. In the months before the launch of Auxuras, Erin suggest Saminda should consider using SUV designs for a new car for the brand as Erin aren’t that interested. Saminda don’t show any interest either, leading to Erin pulling the plans and ending any prospect for a new Erin-Saminda car. Saminda moves on to focus on Auxuras launch, which begins sales on 26th November 1992. Word of the failed SUV project gets to Bonham, who take an interest and start up talks with Erin. Deal brokered during 1993: Bonham and Erin will found a new company to make new SUV, the first version of which will be based on these plans. Both companies will supply engines to this new manufacturer. Bonham’s expertise in luxury vehicles will be used to aid the luxury aspect of the new car, whilst Erin works on developing the drivetrain, utilising its AllDrive AWD system used on its own models. Headquarters, factory and other facilities set up in Curdworth, Birmingham. It sits roughtly halfway between Bonham’s factory in Redditch and Erin’s main factory in Nottingham, as well as being in the British industrial heartland. The plans are modernised and the car is developed over next few years at facility. Staff led by engineers from the Saminda-Erin project, as they have the best expertise for the plans, whilst also drawing on a new design team to work at the company longer term. At the Genava International Motor Show in 1997, Enactor makes its debut with the Estate Roamer, set for launch in 1998. One year later, in May 1998, the first generation Enactor Estate Roamer begins production. Erin and Bonham gradually begin to give the company more independence. Bonham uses the platforms the company develops for its own luxury SUV range. 24 hour clunker challenge - FINAL RESULTS! 4 years after Enactor had been founded, the company launched its first car. The Estate Roamer was a new standard not just for premium SUVs, but for luxury cars in general, sporting exceptional off road credentials and outstanding comfort. 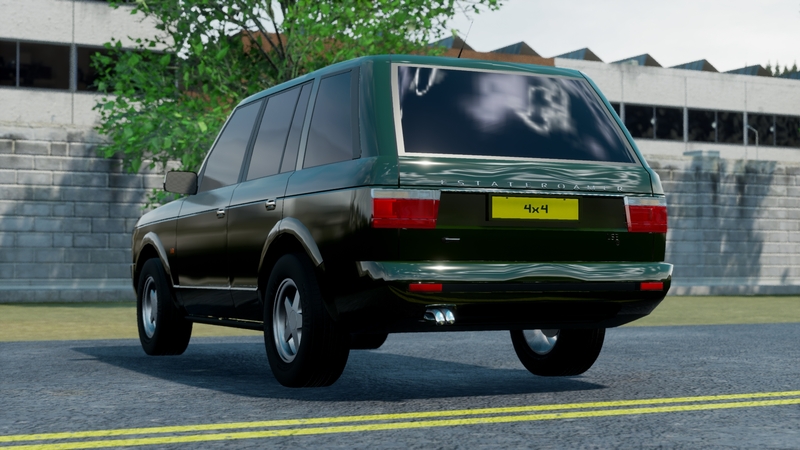 The Estate Roamer’s distinctive boxy styling, split rear tail gate and notoriety for a wealth of luxury options were all instantly established on the Series 1. It arrived on the SUV scene with all the immediacy that its presence gave off and changed it forever. Clean, unfussy styling conveyed an underlying elegance in this otherwise huge car, both at once staying clear of looking arrogant yet emitting huge presence. Later models would get more chrome and glitzier lights to further the luxury appeal. In line with the engineering expertise of Erin and Bonham, the Series 1 Estate Roamer was an advanced car for its time. Double wishbones at the front and a multi-link setup at the rear, with an air suspension system to complete the package, ensured superb comfort, road stability and adjustable ride height to allow for proper off-road usage. Borrowing designs from Erin’s AllDrive AWD system, the Series 1 had a specially designed setup with 50/50 split and locking differentials, as well as a 5 speed automatic gearbox with low range. Two engine options were available; Bonham’s latest 3.0l inline 6, packing VVT/L, or a detuned version of Erin’s 3.8l V8 found in the Scarlet Mk 3. Both offered prestige and power, suiting the character of the vehicle. This was where Enactor’s designers really went to town. An exquistley crafted luxury inteior greeted passengers, with the very latest in comfort technology including heated seats, dual climate control, in-car telephone and even an DVD player with in-seat monitors for rear passengers on later models. No expense was spared on the options too; more luxury items were availible and various interior design options could be selected. There was a huge amount of off-road specific options that could be selected, including side skirts, light protectors and more. And, on the top-end LSE trim, a specially-designed Harman Kardon sound system was available to truly complete the luxury experience. The Rover joke comes full circle. 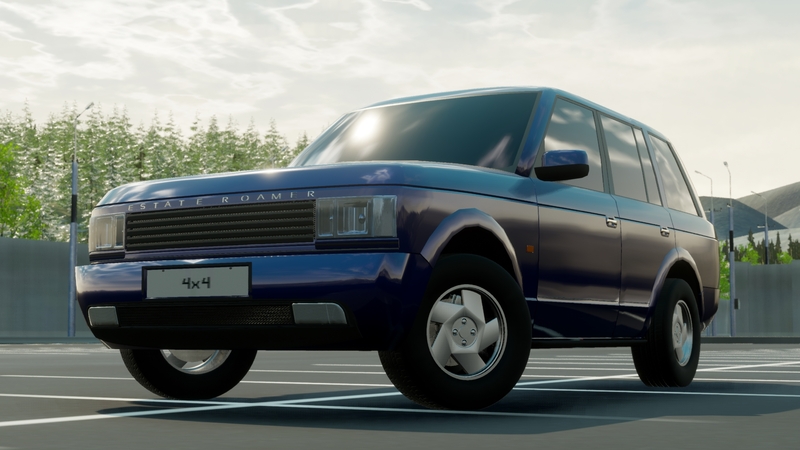 I am always a fan of LUVs, but I am not quite as fond of the “Let’s imitate Range Rover down to chinese levels of design plagiarism” approach Enactor seems to have chosen. Naturally there isn’t an equivalent in our universe (until now) but I am not a massive fan of how closely the EER follows the IRL original. There could have been some more originality with the styling, at least. 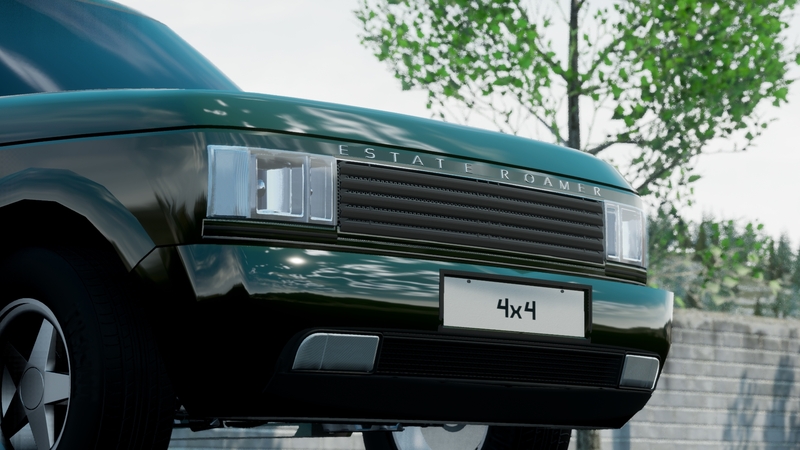 Sorry for the following bit of self-advertisement, but my Monolith 140 incorporates elements of many 1990s premium 4WD Wagons, Land Cruiser, G-Wagen, Range Rover, Pajero/Shogun (the rallying bit) in styling, lore and technical conception. even if it too only looks like a more boxy FZJ80. Related: 1999 M140 facelift inbound, with the world’s first, only and last high-speed straight 8 diesel engine. Yes but what if that’s how Munro and Leo want to build their Land Erin company? They’re free to do so just like you make straight 8 diesels which don’t exist at all in the game and were rare IRL. That’s fair, it’s a shameless rip off. But, good to see it has an automationverse rival. Plagiarism is the highest form of appreciation. Yeah, I’d have to agree while we all draw inspiration from RL companies this is just a bit too overt for my tastes. Especially since we know both members of this joint-venture are well capable of making extremely accomplished original designs, so there is really no need such a derivative approach. But I also find it curious that it lacks any family resemblance to any of the companies listed in the history. 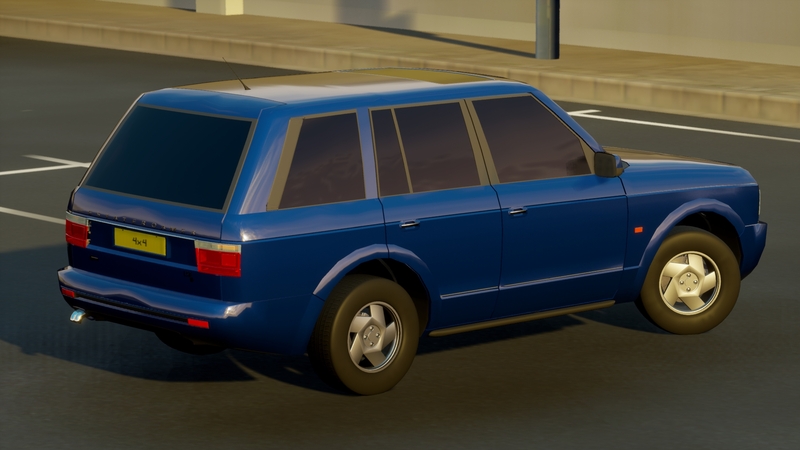 No hints of Erin, Bonham or even Saminda/Auxuras styling cues despite it being supposedly based on previous developments as well as being created by the presumably the same designers. Anyway, I hope that wasn’t too negative, but its just I know you guys can do so much better than this. Still I’m looking forward to Enactor’s Discovery…of some originally in the future. Nah, I/we welcome the feedback. Lore wise, the reay collaborative efforts are found under the skin; the styling was modified from the early plans to be decidedly unique from Erin and Bonham styling. It looks too much like a second-gen Range Rover, but this is still a very compelling design inside and out. 23mpg, and 20mpg, is that the UK form? because that is impressive when pretty much everything else was in the mid teens. edit, nevermind, it says its UK measure. Erin has long stated they will not make SUVs, which is why they approached first Saminda and then Bonham for this joint-venture. Styling was always going to be distinct from Bonham’s, for one, because the basis and platforms will be used to make vehicles wearing the Bonham badge. Also, I must say, all of us have gone through a derivative phase. After all, Anikatia seemed rather close to Hiroshima at times.